Theories that follow this include the theory of gravity, the theory of evolution (versus the belief in intelligent design) and the theory of a heliocentric solar system. A belief that some covert but influential organization is responsible for an unexplained event. The key word in that definition is belief, an idea accepted without proof. Something very counter to science, or the scientific method of explanation. 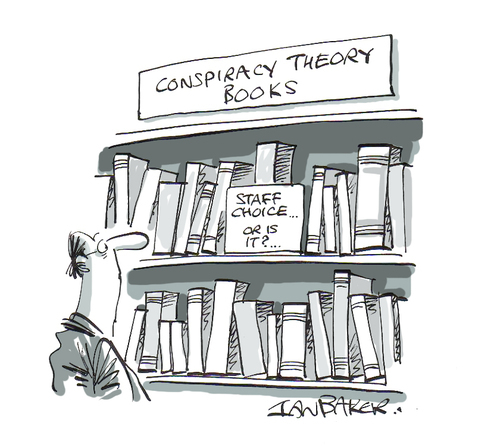 You probably have heard of some conspiracy theories in your life. There is the JFK assassination, fluoride in the water, 9/11 being an inside job, and more. You may have laughed at some of the more outlandish tales, like the one about world leaders being lizards, half-lizard hybrids, or something like that! It can change from day-to-day. One of the most famous conspiracy theories is the one about the moon landing being faked. Some supposed evidence might be people saying “we didn’t have the technology” or “it was all a show to scare the Russians” or that “it was filmed in a studio in the Nevada desert”. My theory on what is happening, why the public believes these stories, is a mixture of two parts. The first part is some truth, or facts. JFK was assassinated (sadly). The photos and film of the moon landings were of poor quality. Powerful people have closed-door meetings, usually without public record. These things are true. But they are only a small part – say, 5 percent – of what is going on. The other 95 percent is storytelling – a 95:5 split. People telling compelling stories to fill in the gap and, more dangerous, to sell their agenda. The problem is people making up claims – usually without any scientific background – and spreading them as truth. They get repeated, again and again, with the original source becomes forgotten. I’ll explain more by describing two examples. But before then, I have one more definition. The key to this definition is causation. There is a link between a group’s secret plan and the harm that is causes to society. Take the example of the General Motors streetcar conspiracy. It was a case where General Motors (selling buses), Firestone (selling tires), Standard Oil (selling fuel) and other companies bought up streetcar lines in 25 American cities, discontinued service, ripped up rail lines and replaced the system with buses, fueling profits for all those involved. The first thing you should notice about this description is how boring it is – that’s because it’s based on fact and not a captivating story. I still find it interesting, nonetheless. Convictions occurred in 1949 to the parties involved for conspiracy to monopolize commerce. They were acquitted of conspiracy to monopolize transit. This case was also hinted at in the film Who Framed Roger Rabbit? Apart for the illegality of it, this case also caused harm to the planet by pushing a fossil fuel agenda and by forcing governments to have a costlier, more complicated city transit system than the electric system it replaced. ‘True’ Conspiracies involve investigation, identifying parties and, if needed, prosecuting any wrongdoing. They usually show up in the press over a day or week and then go away or into the history books. They rarely get questioned over time – like the JFK shooting. Why? Because all the facts are already known, made public or go to court. Some aspects are unknown because some things may stay confidential, but this is the minority of information and not the greatest. They might be classified by a government or happen behind board rooms. Another great example of something approaching a conspiracy is the concentration of media ownership. The major harm that this type of control has on a society is its ability to exercise unrestricted journalism, a true free press. Rather than explaining it in detail, I will suggest you watch the 1998 Robert Smigel animated short film “Conspiracy Theory Rock” (video below), part of a March 1998 “TV Funhouse” segment. It was removed from all subsequent airings of the Saturday Night Live episode where it originally appeared. Michaels claimed the edit was done because it “wasn’t funny”. The film is a scathing critique of corporate media ownership, including NBC’s ownership by General Electric/Westinghouse. I think it’s important to talk about this issue for two major reasons. On one hand, the public’s scientific literacy is lower than it could be, leading many to belief the pseudoscience and false prophecies that grand orators are presenting to them. 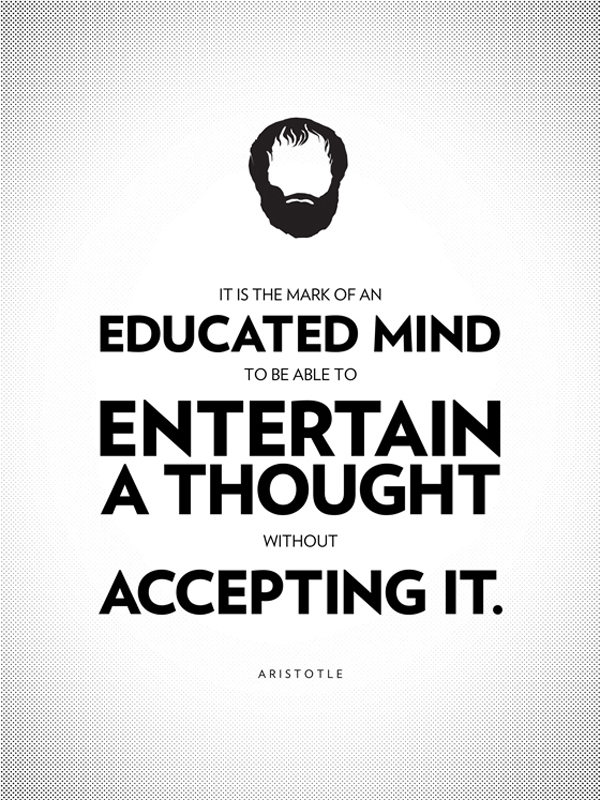 I find the quote one the right by Aristotle very powerful in this regard. Another reason these topics need to be talked about in the public discourse is that they continue to reappear. For example, the Global Surveillance Disclosures brought to light by Edward Snowden and others. Governments are making agreements with one another and with major technology corporations to gain control of our personal information. While the debate on legality is going on, one thing that’s for certain is that it is harmful to a nation’s basic ideals of the right to privacy and free speech if the government can spy without warrant or some type of check and balance. The two films Citizenfour and Terms and Conditions May Apply are great sources which shed more light on these matters. I can call my claim a theory after many years of observation, testing the claims of others against what the science says and reflecting as an outsider. I feel that is it replicable to may instances but am open to feedback. That’s my theory. I’ll let you decide if it’s true or not. Even those people who are also asking questions. 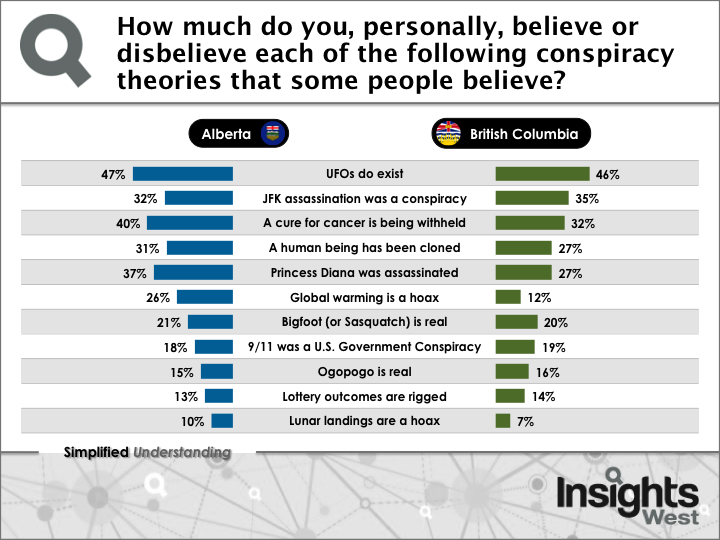 It looks like Western Canada is more uneducated on these things than I previously thought!